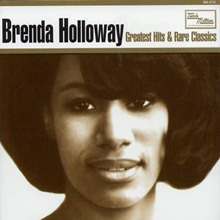 What's more, the haunting song released as Brenda's Motown debut in 1964, 'Every Little Bit Hurts,' has since become a popular music standard. Most recently part of Alicia Keys' repertoire on record and on the road, it has also been cut by Aretha Franklin, The Clash, Teena Marie, Petula Clark and The Jam. Another Holloway hit, co-written by her and sister Patrice, has similar stature: 'You've Made Me So Very Happy.' It became one of the most popular copyrights of the late 1960s in a muscular jazz-rock cover by Blood, Sweat & Tears, and was later recorded by Gloria Estefan, Ramsey Lewis, Alton Ellis and Mel Torme, among others. While at Motown, the singer sensuously interpreted material by Smokey Robinson, most notably 'When I'm Gone.' This had originally been designated for Mary Wells, but she was leaving the label. "They pulled it on her and I did it," Brenda told journalist David Cole. "I think it could have been another 'My Guy' with more effort from Motown, but it was like they were still into 'Every Little Bit Hurts'." She was a challenge for the company, to be sure. Born and resident in California, she was trained in classical music, and played the violin. "I think it was like I was before my time - they couldn't quite place me." The distance from Detroit didn't help, but the depth and intensity of Holloway's work is fulfillingly evident in The Motown Anthology, a UK-originated set. It includes 'I'll Always Love You,' a second drama from Ed Cobb, author of 'Every Little Bit Hurts'; the desolate 'Just Look What You've Done,' a US R&B hit in 1967; and 'Love Woke Me Up This Morning,' one of Nick Ashford and Valerie Simpson's better compositions. Also on the compilation is something worth serious money to collectors on vinyl: 'Play It Cool, Stay in School,' a public-service message Brenda made for Detroit radio back in the day. Among the artist's post-Motown exploits were sessions for Holland/Dozier/Holland's Music Merchant label and, in Britain, for Ian Levine's Motorcity imprint, followed by the above-cited It's A Woman's World for Fantasy Records at the end of the century. "I was really happy with that album," Holloway confided to Cole. "Fantasy gave me a chance to be the real Brenda Holloway." During the same year, "the real Brenda Holloway" was acknowledged with a Pioneer Award from the Rhythm & Blues Foundation. Once again, she was made so very happy. 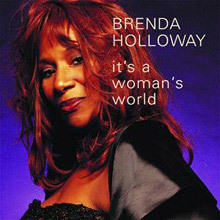 Soul music suffered a major loss when, in 1968, a 22-year-old Brenda Holloway decided to retire from the music industry. It wasn't until 1999, when she turned 53, that the vocalist returned to recording secular R&B in the U.S. (although she provided a gospel album in 1980 and recorded some secular R&B in England in 1987). The Volt label, which Fantasy reactivated in 1999, is synonymous with classic soul; but for the most part, you won't find a classic soul approach on this CD. It's a Woman's World gets off to a 1960s-like start with a remake of the Everly Brothers' "Walk Right Back," although most of the material that follows is surprisingly urban contemporary. No, Holloway isn't trying to be Mary J. Blige, Missy "Misdemeanor" Elliot, or a member of Destiny's Child, but this isn't an album of Motown covers either -- and high-tech, hip-hop-influenced items like "No Regrets" and "Don't Keep Runnin' (In and Out My Life)" are a lot more urban contemporary than listeners might expect from Holloway. Some of the ballads, meanwhile, have a lot of adult contemporary appeal. Produced by Preston Glass and Fred Pittman, this decent, if unremarkable, CD demonstrated that Holloway's voice had held up well over the years and that she could still be charming and charismatic. Even though It's a Woman's World falls short of the excellence of her classic Motown output of the 1960s, it's nice to see her recording again. 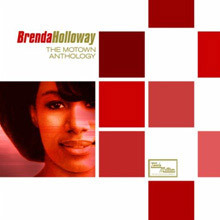 Throughout her career, Brenda Holloway regrettably lived in the shadow of several Motown divas who garnered more of the spotlight than she did (sometimes quite unfairly). This is one of several artistic tragedies in the Motown catalog; a story of talent that rang fresh and potent but never really received due diligence for one reason or another. Thankfully, Motown is slowly correcting these facts and giving several artists their moment in the sun with well-packaged, comprehensive anthologies highlighting the artist's best-known works along with a generous portion of outtakes. Holloway's Motown Anthology is no exception. The first disc features the two full-length records she recorded for Motown: Every Little Bit Hurts and Hurtin' and Cryin', the majority of which was previously unreleased to the public. Every single hit Holloway had is included here, making this a must-have for Motown enthusiasts, Northern Soul aficionados, and fans of stunning, timeless soul music. The second disc offers a generous helping of rare singles and previously unreleased material, featuring an outstanding rendition of "All I Do Is Think About You," an intense interpretation of "He's My Kind of Fellow" (made known by Gladys Knight &amp; the Pips), and the stomper "I'm on the Right Track." It's a shame material of this quality and caliber had to linger and gather dust in the Motown archives for so long, as Holloway -- on her worst day -- sounds better than most do on their best days, but this collection was definitely worth the wait. It's an immense joy to listen to, start to finish. Kudos to Motown U.K. for having the initiative to finally make these treasures available for all to hear. Brenda Holloway was Motown's second big solo female star, but she spent even less time at the label than Mary Wells. A hard-edged, gospel-tinged belter, Holloway scored two Top 20 hits in the mid-'60s with "Every Little Bit Hurts" and "When I'm Gone," and her single "You've Made Me So Very Happy" was later a huge smash for Blood, Sweat &amp; Tears. Holloway lasted on Motown until 1967, then departed after becoming a born-again Christian. This album includes her biggest singles for Tamla, plus some other good, though not necessarily classic, 1960s soul numbers. 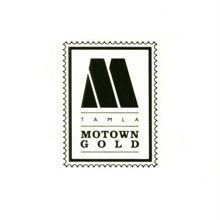 Motown Gold is a compilation album released by the Tamla Motown record label, featuring a selection of 18 of the label's greatest hits. 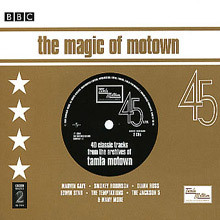 A 40-track compilation featuring classic tracks recorded for the Tamla Motown label by The Supremes & Diana Ross, The Four Tops, The Temptations, Jimmy Ruffin, Marvin Gaye and many more. 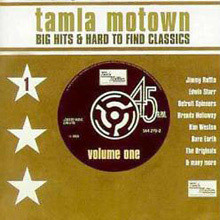 The first of 3 volumes collecting Motown rarities as well as alternate versions of well known classics.